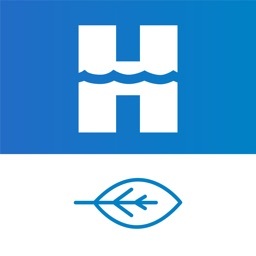 Control your pool temperature remotely. 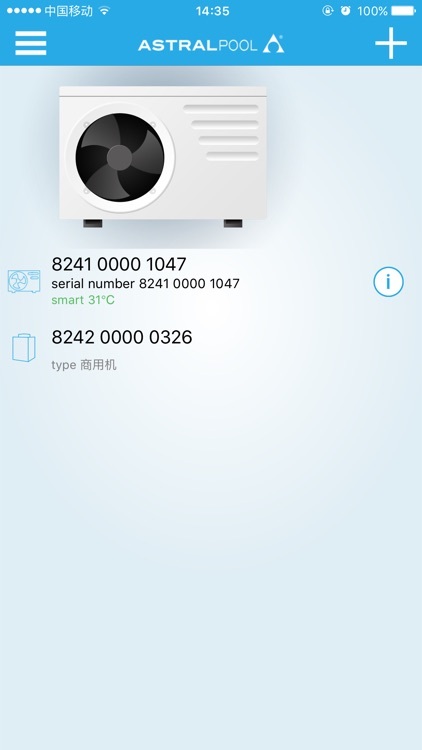 Control EVOLine heat pump everywhere. 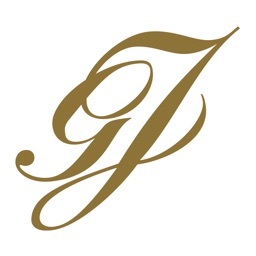 Download the APP without cost, it is totally free. 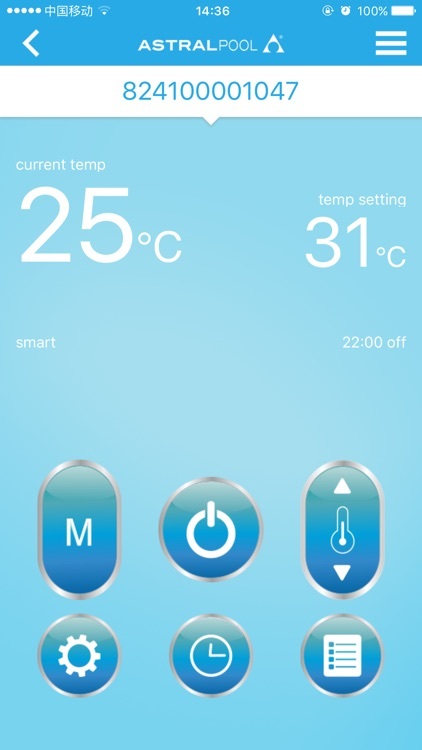 The APP is act as a remote controller for the EVOLine heat pump. 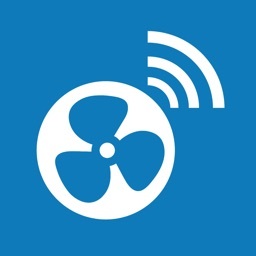 It works with local wifi connection to control all the parameters in the heat pump remotely. 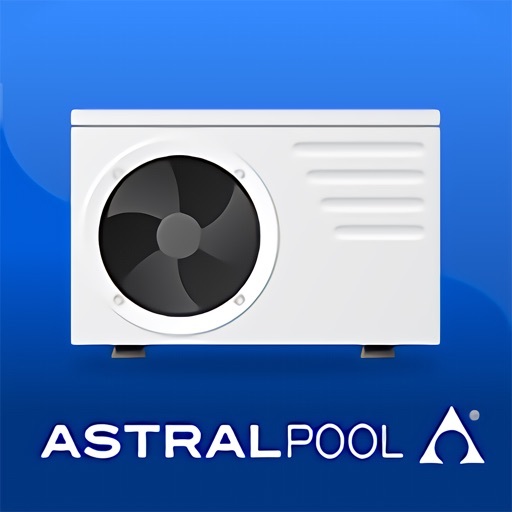 - Pool temperature, see the current pool temperature. - ON/OFF, to switch on and switch off your pool heat pump. 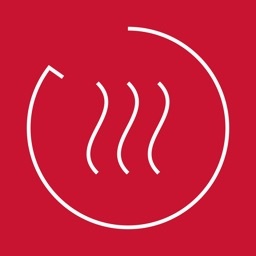 - Temperature Set point, raise or lower the temperature of the water pool. 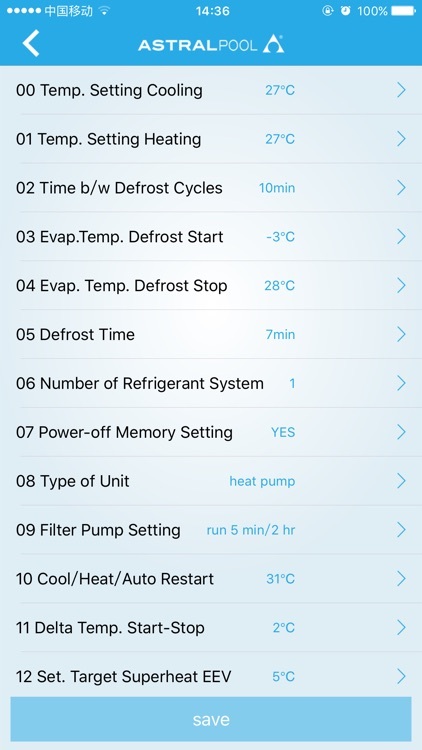 - Timer, set different schedules for the heat pump to switch on and off. 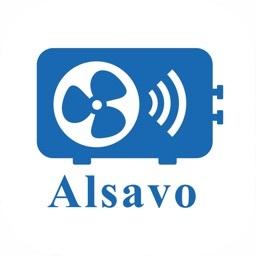 - Parameters, lecture of all the sensors of the heat pump. 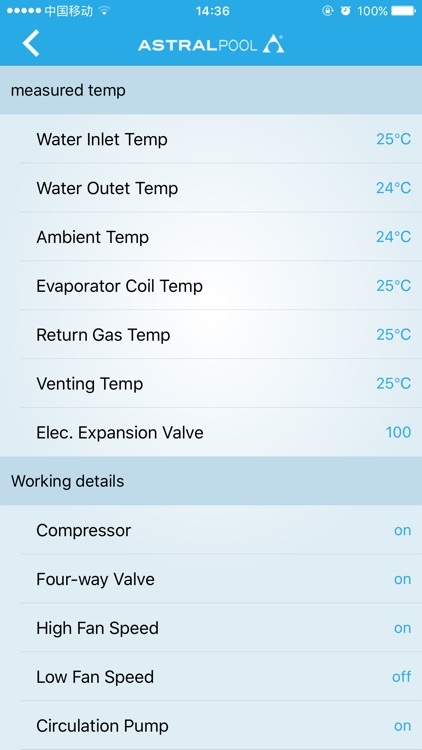 - Extra menu, only for professionals to control all different parameters of the heat pump.